Sephora Canada recently started selling Bésame Cosmetics online, and despite the fact that I already own quite a lot of red lipsticks, I had to have one. Honestly, how do you pass up retro-inspired lipsticks that come in this packaging?! 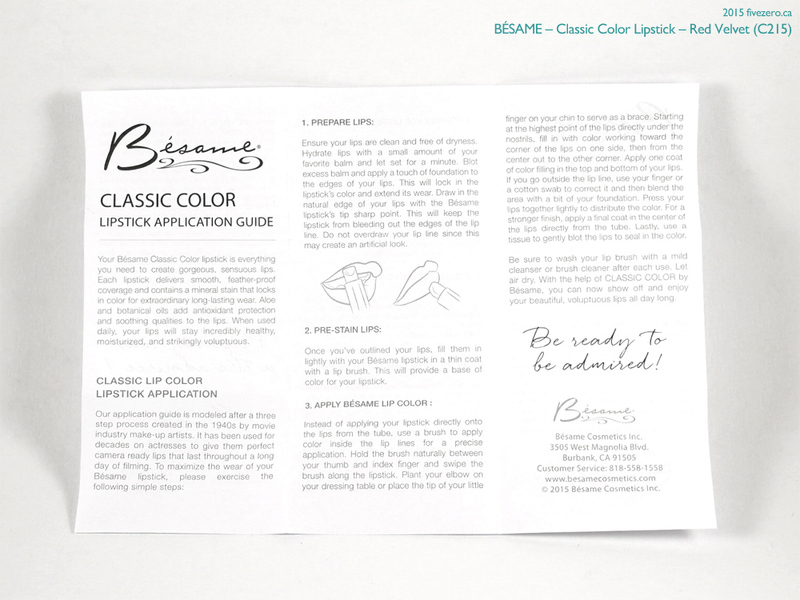 Bésame’s lipsticks are all based on actual lipstick colors that were made between the 1920s and 1960s (presumably in the US). There is a nice little write-up about the making of their lipsticks on their About Us page. Women seldom have time to re-apply lipstick throughout the day, so long-wearing was a priority for this lipstick. Denser colors provide longer wear, so we created a weightless, high-pigment formula that stays put with a semi-matte satin finish. I didn’t put foundation along the edges of my lips, and I didn’t blot. 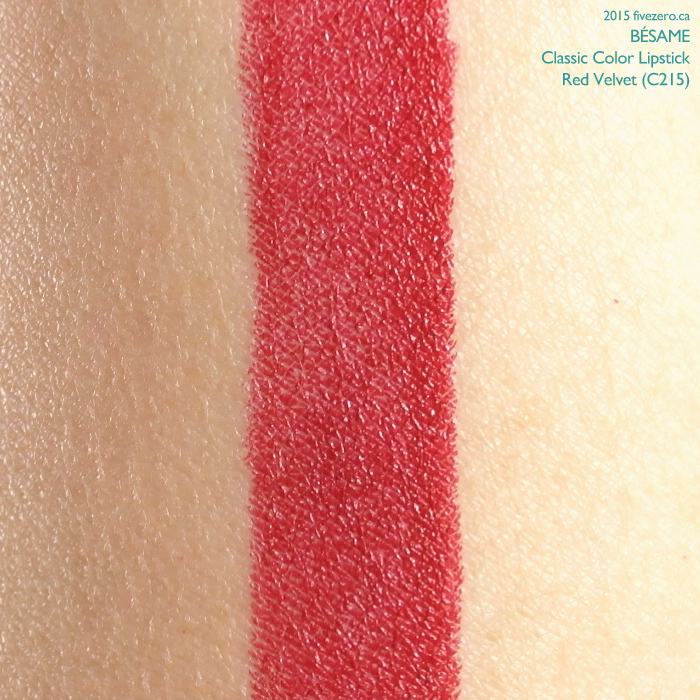 So, now that I have gushed over this lipstick’s packaging and formula, here’s the swatch. Red Velvet a medium (to me; to others it might run a little medium-dark), fairly neutral red cream. It’s not muted, but not too bright, either, which makes it work well for both day and night. 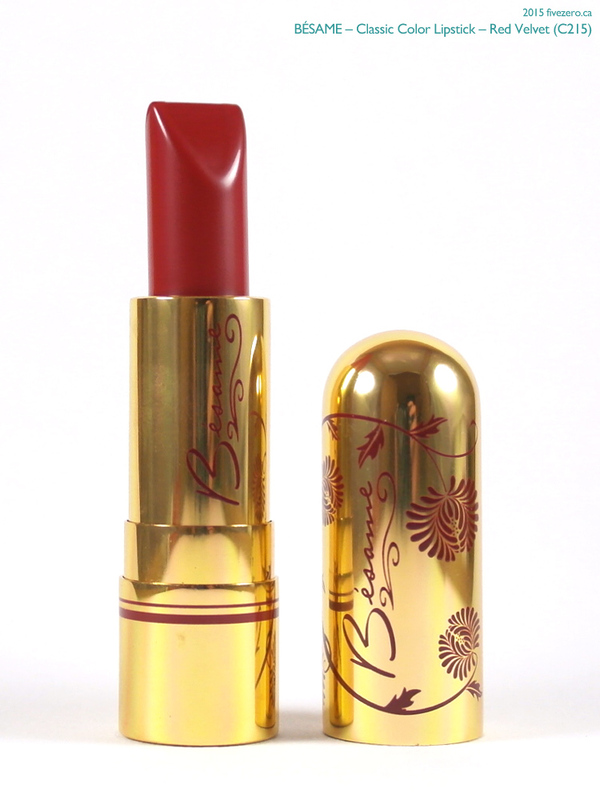 Bésame based it on a lipstick from 1946. 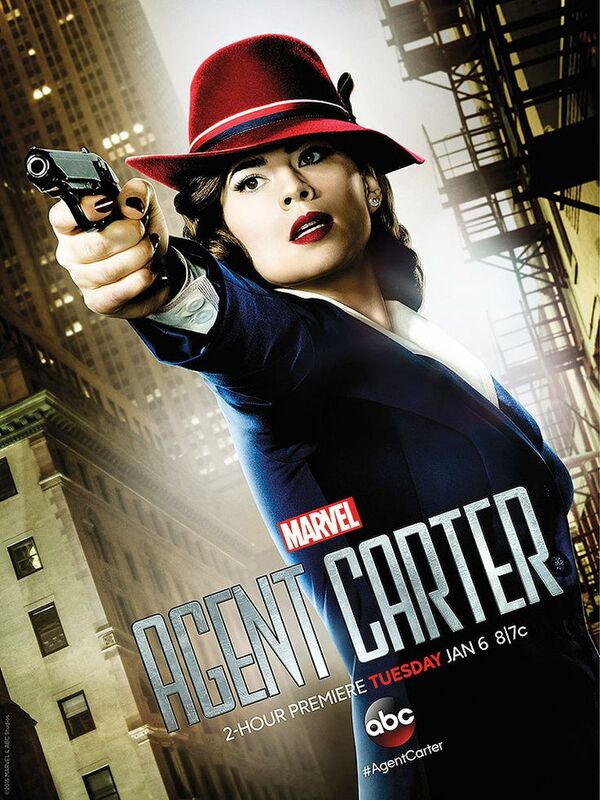 A point of interest for fans of the Marvel TV show Agent Carter (also set in 1946! ), or just of its star, the lovely English actress Hayley Atwell, this is one of the lipsticks her character Peggy Carter wears. I’ve not yet had the chance to catch Agent Carter , but I loved her in the Pillars of the Earth miniseries. The lipstick has a soft vanilla scent, similar to that of MAC lipsticks. I didn’t detect any taste, though. I highly recommend this lipstick shade and I really hope to try more soon. I found pictures of their lipstick in Merlot, which is completely down my alley, but they don’t seem to sell it anymore! I’ve emailed them about it, but am yet to receive a response. Bésame (meaning kiss me in Spanish!) 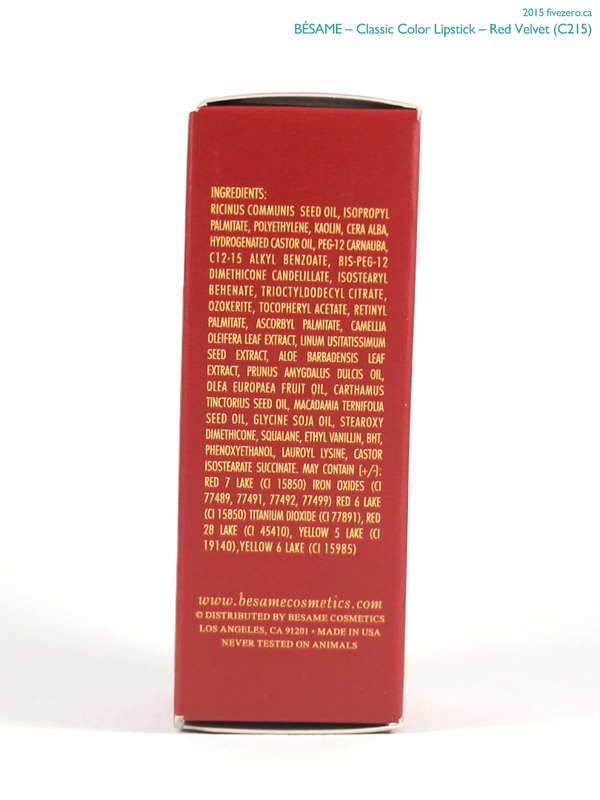 Cosmetics is based in Los Angeles, CA, USA. It was founded in 2004 by “artist, cosmetic historian, and designer” Gabriela Hernandez. That’s a pretty shade of red; a real classic color! 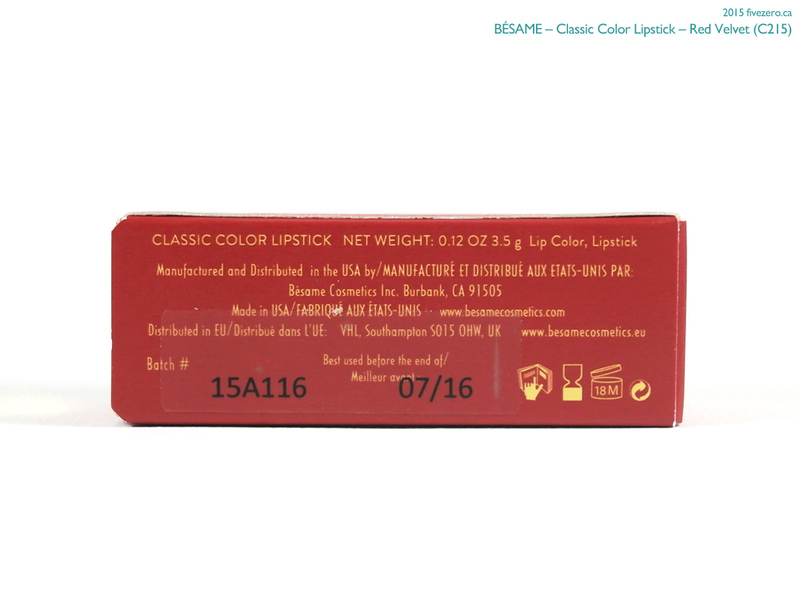 I actually SAW Besame Cosmetics in Sephora inside Eaton Centre – crazy! They only had the powders and a small section but it was in a feature area. I am curious about the loose powder. I’d love the packaging more if the cap was a screw on type like really retro… ah well. Yeah, I wish they had the lipsticks available in store for testing! I actually prefer the non-screwtop lid. I know it’s more authentic, but it’d annoy me so much! LOL! 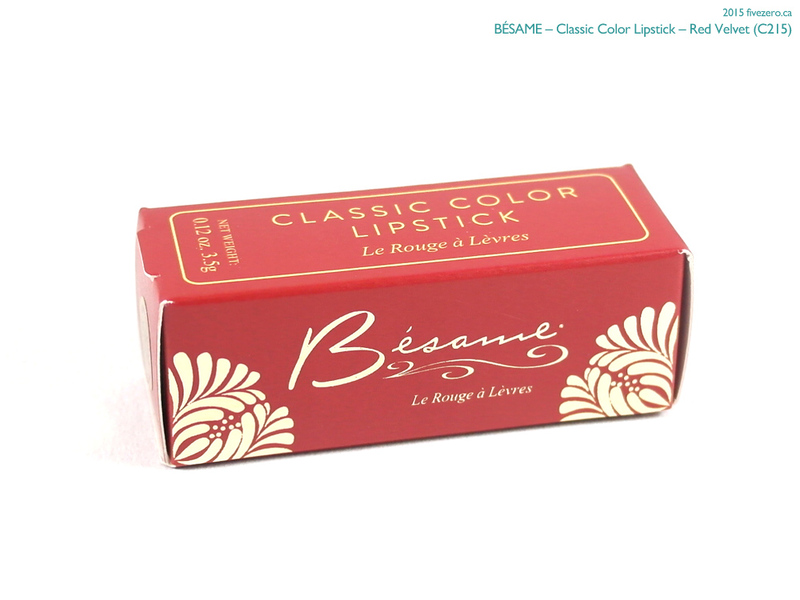 There seemed to be some softer pinks in the Bésame lineup on the official site, but Sephora only seems to carry the reds. 😦 for you… 🙂 for me! Hehe! I love Peggy Carter and I love this lipstick. I want it! Pity shipping from the U.S. is such a hassle. What a strange shaped bullet! The color is pretty and great to know it really does what it claims to do! This is the first thing I’ve tried from them. If everything else is as nice, I can’t wait to try more! Their violet brightening powder is fantastic!